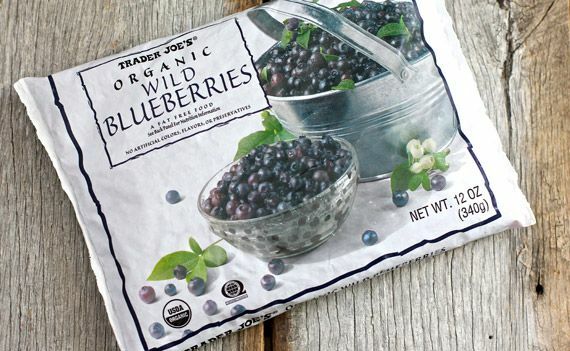 Add vegetable powders to pancakes, muffins, smoothies and frittatas. I like Dr Cowan’s Threefold Powder Blend. I often put 1 spoonfull in muffin recipes and no one who eats them would ever know! Add minced sauteed mushrooms and onions to your burgers. This recipe is a favorite. I will substitute other ground meats like turkey or when feeling adventuresome, wild boar or venison. Serve without the bun if eating less refined carbohydrates. Or use these new sweet potaTOASTS by the maker of Caulipower pizza. Cauliflower rice is one of my favorites. I was making it myself with a food processor but since I found a giant bag of Organic cauliflower rice at Costco I have been living off this “harvest.” Substitute for rice in family recipes. I like it for breakfast with 2 fried eggs. Green eggs and ham, anyone? Check out this simple way to make green scrambled eggs. Make foods fun for kids, vegetables add natural food dye. Beet powder can turn yogurt pink, turmeric can make a chai tea yellow, etc. 4 Kitchen Gadgets I Love! A Good Knife. I took my first official cooking class in 2012 with Myra Kornfeld when I was Director of the MS in Nutrition and Integrative Health Program at MUIH. One of the best thing I learned was how to use and care for a good quality knife. Up until that point I prepped foods with a paring knife or steak knife! With a good quality knife I can prep foods faster and safer. Keeping it sharp is important. I have a this Wusthof knife. Paderno 3-Blade Spiralizer. It seemed an extravagance but it has been a favorite tool these past 2 years. It is hard to balance the preferences and needs of all members of a family. But one common goal is to eat more vegetables (maybe not PIper’s goal but certainly our goal). First I started just spiralizing zucchini for noodles but since then we have branched out to many other vegetables. I never ate turnip or rutabaga growing up but since then I have found they make a fabulous noodle! 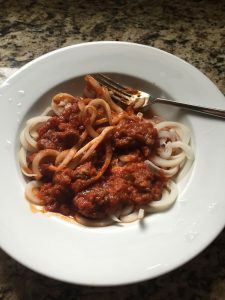 Pictured above: turnip noodles with bolognese sauce. Spiralize your favorite root vegetable. Boil or steam the noodles for 5-7 minutes until they taste “al dente” then strain. See Paderno 3-blade spiralizer here. A Vitamixer. I bought mine used on Ebay for approximately $125 about 15 years ago. It is still going strong, although we have had to replace the blade and the lid. I use this for smoothies, pestos, pureed soups, pureeing nuts for cashew cream. It liquefies better than a food processor. The newer versions have more capability than my old stainless steel version but I am going to see how many years I can eek out of this one! A Good Garlic Press. There is barely a savory recipe I make that does not contain garlic. Garlic is a favorite herb. Although, mincing garlic by hand is not my favorite activity and I find that pre-chopped jarred garlic does not have the same great flavor profile. This garlic press requires no peeling or chopping and allows me to get garlic easily into a recipe. For those who are sensitive to FODMAPs, a garlic-flavored olive oil is fabulous. Do you travel a lot? Always on the go? 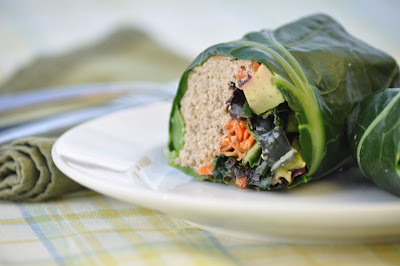 Here is a great way to pack your body full with delicious, easy and nutrient dense foods! 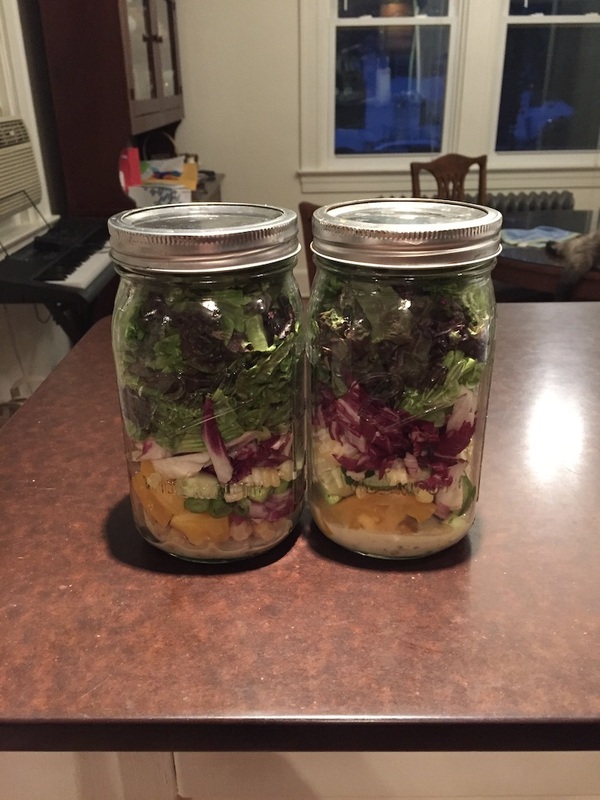 In a mason jar layer the ingredients for a lunchtime salad on the go. As long as the jar stays upright, ingredients will stay in place. Once ready to eat you can mix all together. Layer 1: Dressing on the Bottom. This helps keep ingredients dry before you’re ready to eat. Read the label to make sure you are purchasing salad dressings that uses olive or avocado oil rather than soy and canola oil. I like Bragg and Primal Kitchen brands or homemade. Layer 2: Protein. I like to combine two proteins including grilled or smoked fish, chicken, turkey, nitrate-free bacon, shredded cheese or soft cheese, hard-boiled egg, chopped nuts or seeds, chickpeas, black beans or other legumes. Protein helps keep you full as satisfied for at least 2 hours. Layer 3: Denser Vegetables and Toppings. Shredded carrots, celery, croutons, quinoa, dried fruit, cucumber, green beans, corn, radishes, and peas. Tomatoes can get soggy so best to use whole cherry tomatoes. When I meet with a client I look at all the factors that could impact their nutritional health. Most common habits that have a negative impact are excess sugar, processed food and low vegetable intake. Some foods like white bread act as an anti-nutrient and will not replenish needed minerals and vitamins. I also look to identify hidden food sensitivities and improve assimilation of nutrients with healthy digestive habits. Statins (Crestor, Lipitor, Zocor, Pravachol) – can increase an individual’s need for CoQ10 and magnesium and possibly L-Carnitine. Protein Pump Inhibitors (PPI) (Pantoprazole, Prilosec, Prevacid) – Major depletions include Magnesium, B12. Minor depletions include Calcium, Folic Acid, Iron, Zinc. H2 Blockers (Zantac, Pepcid, Tagamet) – Major depletions include B12. Minor depletions include Calcium, Folic Acid, Iron, Zinc. Diabetes medication (Metformin, Glucophage, Prandin) – Major depletions include Folic Acid, B12. Minor depletions include Thiamine. Diuretics (Lasix, Lozol, HCTZ) – Major depletions include Potassium, Calcium, Magnesium, Thiamine. Minor depletion include B6, Vitamin C.
Oral contraceptives (Ortho-Tricyclen, Yasmin, Aubra, Lutera) – Major depletions include Folic Acid, Magnesium. Minor depletions include Thiamine, B6, Vitamin C, Zinc. Prednisone (Prednisone) – Major depletions include Calcium, Chromium, Magnesium, Vitamin D. Minor depletions include Zinc. Antibiotics (Amoxycillin, Penicillin) – Major depletions include Potassium, Vitamin K. Minor depletions include Biotin, Folic Acid, B12, B6, Thiamine, Riboflavin. Here is an in-depth article on this topic. Do you want to review your medications and supplements with Rebecca? Schedule a 45-minute consult, supplement tune-up with Rebecca here. 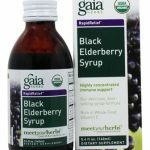 Elderberry and Vitamin C can help reduce the duration and severity of a cold or flu. This is tasty medicine for kids of all ages. Mix 1/4 cup Power of 7 juice with gelatin in a bowl. 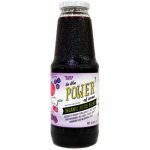 When the juice is nice and hot, add Vitamin C and elderberry and stir well. Add the juice mixture to the gelatin/juice and stir well. Pour into a shallow 8 x 8 inch pan. Let cool and then put in fridge to harden. Reflecting back when I first started seeing clients with chronic symptoms from Lyme disease in 2004, there was very little published information on the topic. There were a few herbal pioneers who had published their first work like Stephen Buhner and Dr. Zhang, but still there was a long way to go in understanding how to support those who suffer this disease. So how did I navigate this new terrain? As an herbalist, we pull our evidence from many sources, particularly when there is limited research. Since, we have a large body of safety and historical data from herb use, the burden of proof lies more with efficacy than safety. 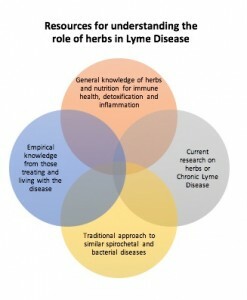 For my upcoming talk on Lyme at the AHG Conference, I have categorized the evidence into 4 categories, 1) Current research; 2) Empirical knowledge from laypeople and practitioners 3) Traditional and historical approach to other spirochetal diseases and 4) General knowledge of herbs for immune health, detoxification and inflammation. There is no published clinical research for herbs and Lyme disease in the US. There may be unpublished research, like that of Dr. Cowden and case studies of his protocol and Allimax nutraceuticals small clinical study on garlic. These studies have not gone through the rigor of peer-reviewed publication. There is a growing body of in vitro research, like that of Brorson and Brorson on the effectiveness of grapefruit seed extract on cystic forms of Lyme in vitro (2006). Or the recent study on stevia whole plant extract on cultures of Borrelia biofilms and organisms, demonstrating that stevia was as effective as 3 antibiotic combinations for persistant Lyme bacteria in vitro (Theophilus, Victoria, Socarras, Filush, Gupta, Luecke, & Sapi, 2015). It is challenging to translate this in vitro research to real life clinical practice. Stevia extract will work differently in a human body than it willing a petri dish, first we must digest and metabolize the stevia extract before it will reach any Lyme bacteria. Some in vitro research is more promising, when compounds are tested versus whole plant extracts. In a comparison of 15 phytochemicals and micronutrients, baicalein (from Baikal Skullcap) and monolaurin (from Coconut oil) were two of the most active against the Borrelia biofilms (Goc, Niedzwiecki, & Rath, 2015). There is a large body of empirical evidence from practitioners and those who are suffering with Lyme. Since Chronic Lyme disease is an illness not recognized by a portion of the medical community, individuals are often left on their own to sort out best treatment strategies. For better or worse, google and discussion forums become the “doctor” for Chronic Lyme. We have so much to learn from the individuals that have been sick with Chronic Lyme and their experiences. On an informal basis, I have learned so much through the years listening to my patients discuss their experiences with various remedies and approaches. Recently the Caudwell Lyme Disease Charity in the UK conducted a survey of their members. They found that individuals with Lyme spend on average between 100-250 pounds a month on nutrition and herbal supplements and would spend more if their finances would allow. 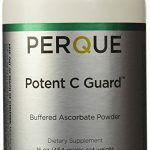 Some of the most popular products used by surveyed patients were Vitamin C, Omega 3, Magnesium, Vitamin D, and herbal protocols of Cowden and Buhner. There is a strong need to gather and organize this empiricial data in the US through a formalized survey of Lyme patients, similar to the survey that Defeat Autism Now conducted several years back for autistic children and their families. Lyme disease is a modern disease and so there are no references to this particular disease in Traditional Chinese Medicine, Ayurveda and early American doctors. However, there is a body of knowledge from China on herbal treatment for other spirochetal diseases: leptospirosis and syphilis. Commonly used herbs are Sarsparilla (Smilax glabra), Baikal skullcap (Scutellaria baicalensis), and licorice (Glycyrrhiza glabra). Reported effectiveness is high as is dose used. In the United States, a group of eclectic physicians treated Syphilis without mercury in the late 1800’s and early 1900’s with herbs such as Oregon Grape Root (Berberis aquifolium), Iris versicolor, Poke root (Phytolacca decandra), Corydalis spp, and Echinacea spp. (Ellingwood, 1908). The root cause of ongoing symptoms of Lyme disease is multifaceted. These include a triggered autoimmune response, elevated neurotoxin load, chronic inflammatory pattern and chronic infection. Because of this, we can pull from the general body of herbal knowledge and utilize herbs that help to reduce inflammation, support detoxification, and support a healthy immune system. For example, I frequently recommend turmeric and medicinal mushrooms to my clients with CLD. There is an exceptional body of knowledge that has been published about Turmeric (Curcuma longa) as an anti-inflammatory, anti-oxidant, mood stabilizer and an emerging body of knowledge on the immune enhancing and TH1/TH2 modulating properties of medicinal mushrooms like Reishi, Cordyceps and Maitake. Brorson, Oystein. (2006). An In Vitro Study of Cystic forms of Borrelia burgdorferi. Paper presented at the Lyme and Other Tick-Borne Diseases: Seeking Answers Through Science, Philadelphia. Ellingwood, Finley. (1908). Treatment of Syphilis without mercury. Therapeutist, December. Is Centrum A Good Multivitamin Option? Many people take multivitamin mineral supplements (MVMs), either as “insurance” against nutrients that are likely missing from their diets, or in addition to regular intake of healthy whole foods. Is this a good idea? That depends. It is always best to get your nutrients from food, if possible, and a MVM will not make up for bad dietary habits. There are pros and cons to taking MVMs, and all MVM supplements are NOT created equal. I do often recommend good quality MVM’s to my clients. 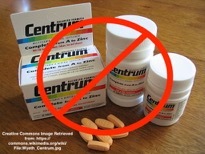 However, when I learn that clients are using Centrum or similar product, I always advise them to stop. Pros: A good MVM can boost intake of important nutrients such as zinc, magnesium, and vitamin C when illnesses challenge absorption or there is an increased need. Cons: Some MVMs may provide too much or the wrong forms of certain nutrients, such as folic acid, iron, and copper, which can be harmful, and often include controversial ingredients. So what about Centrum? Centrum and other popular MVM supplements may provide cheap, synthetic forms of vitamins and poorly ab sorbed forms of minerals. For example, inorganic copper is metabolized differently that copper which is derived from food, and is potentially toxic. Likewise, cheaper, synthetic forms of vitamin E, such as dl-alpha tocopherol or all rac tocopherol may actually be increase mortality and risk of some diseases. The Selenium and Vitamin E Cancer Prevention Trial (SELECT) demonstrated that synthetic Vitamin E increases risk of Prostate Cancer. 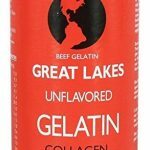 Centrum and other MVMs include unwanted ingredients like food coloring, polyethylene glycol, the main ingredient in stool softeners, and BHT, which has been associated with liver and kidney damage. These and other “yucky” ingredients are just a few of numerous reasons to avoid common, inexpensive MVMs such as Centrum. If you want to take an MVM in addition to a healthy, whole food diet, look for one with whole food ingredients, such as fruit and vegetable concentrates, and without additives. Look for MVM’s with natural forms of vitamin E (mixed tocopherols or mixed tocopherols and mixed tocotrienols), and minerals in their most bioavailable forms. For example, calcium and magnesium as glycinate, citrate or malate. I suggest finding an MVM without iron unless you are a woman of childbearing age, pregnant or breastfeeding. More is not always better and iron is a nutrient that can be harmful in excess amounts.